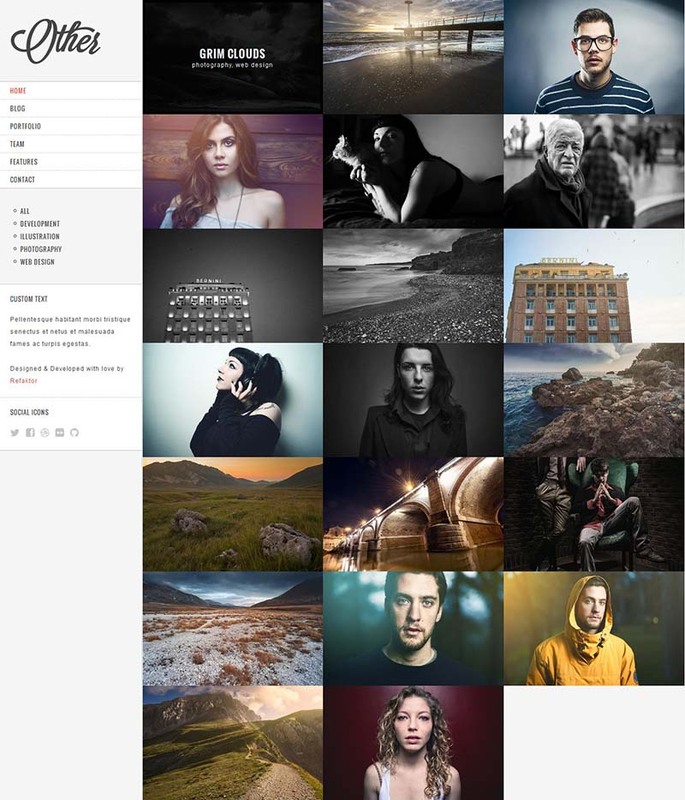 Other is an awesome Drupal 7 photography theme with loads of unique layouts, including draggable vertical galleries, and homepage portfolio with great animations and category filters. This theme uses AJAX to load in and switch between your posts and portfolio details, reducing initial page load times. It is fully responsive, retina ready and comes with a great mobile menu. Other is exactly what any freelancer, agency or business needs.